Microsoft Chief Executive Officer Steve Ballmer will deliver a preshow keynote address at the 2011 International CES®, the world’s largest consumer technology tradeshow, is scheduled January 6-9, 2011, in Las Vegas, Nevada. 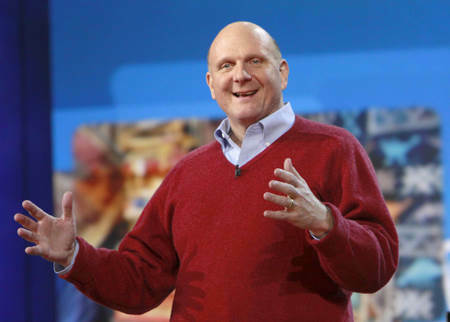 Steve Ballmer will kick off the 2011 International CES with a preshow keynote address at 6:30 p.m. on Wednesday, January 5, in the Las Vegas Hilton Center. In previous years, Microsoft has used the CES keynote stage to launch major products including Xbox, Windows Vista and its Sync technology partnership with Ford. The 2011 International CES will feature 2,500 global technology companies unveiling the latest consumer technology products and services across 15 major product categories including the latest in audio, automotive electronics, connected home technologies, digital imaging, electronic gaming, entertainment/content and more. For more information on the 2011 International CES, visit CESweb.org.